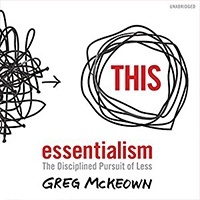 Essentialism is not about how to get more things done; it’s about how to get the right things done. Essentialists make the wise investments of time and energy to make the greatest impact. McKeown’s explanation of of the vital few, trivial many and tradeoffs has permanently changed the way I make decisions. If you’re feeling stuck in your career, Jeff will help you discover what a calling is and how you already have one. He also provides practical steps of overcoming your fears to live it out. With so many options to choose from we all need a framework to choose the path that resonates with our vocations. If you’re wanting to launch a website or rebrand an existing one, Storybrand will help you discover and clarify your message and get more patients. So many practices flounder because they use medical jargon when trying to explain what they do and how they help people. 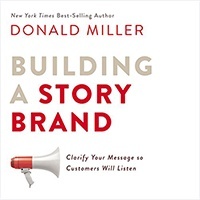 Follow the Storybrand framework to tell a story that makes potential patients the heros and watch your practice grow. Shawn is the founder and small business owner of Askinosie Chocolate, an international award-winning chocolate business. 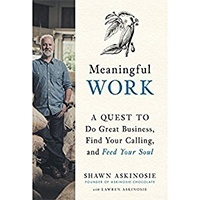 Askinosie describes his journey to discover meaningful work and have social impact. If you’re searching for inspiration and practical insights on how to make practice more than money then this book will guide you. In the first half of our lives we are naturally preoccupied with climbing, achieving and finding our place in the world. But as approach the later years of our lives we need to see ourselves in a different way. 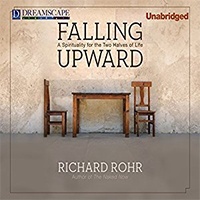 Falling Upward has helped me to process the disappointments of the past and understand the spiritual aspects of aging. If you’re starting a second career or want to finish your current one well, Rohr will help you think it through in a fresh, new way. 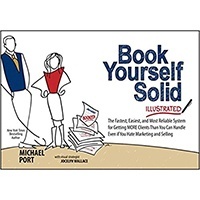 Book Yourself Solid: The Fastest, Easiest, and Most Reliable System for Getting More Clients, Illustrated Ed. Most startups never get off the ground, not because they don’t offer great services but the owners are novices at business and marketing.  Book Yourself Solid is an easy-to-follow roadmap for starting and growing your practice. Even if you’re a seasoned practice owner this book will help you fill in gaps in your client focused marketing. I prefer the illustrative version because it flows more like a workbook to help you take action on his business building system. 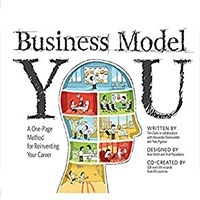 The Business Model You takes the world’s leading business model generation tool and teaches you how to create your own personal business model. It is a powerful visual process to turn your business idea into a one-page business plan. It has been a game-changing business model tool that has transformed businesses and lives all over the globe. Each of us has one life to live on this earth. What we do with our life is our choice. 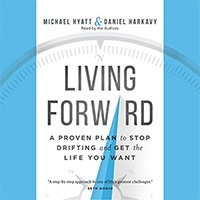 Michael Hyatt’s life planning process is the best goal setting system I’ve done. If you couple Living Forward with his Your Best Year Ever video series you’ll have everything you need to live your life with purpose. 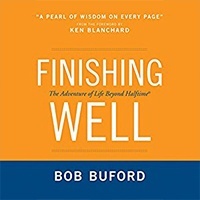 For those of you living in the second half of life and want some living examples of what’s ahead, Bob Buford’s Finish Well will give you that and more. He Interviews 60 “code breakers” for advice on living with significance and leaving a legacy. These trailblazers provide wisdom about avoiding the retirement trap and living a productive life until the end. 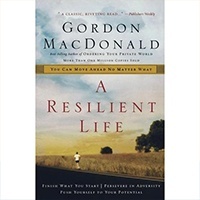 Gordon MacDonald is a sixty-something pastor that offers a lifetime of wisdom in living a resilient life through all its ups and downs. He uses lessons learned as a long distance runner and celebrates the gifts received from his cross country coach and mentor. 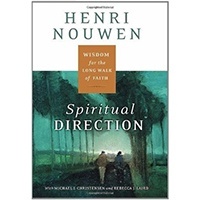 If you’re going through a particularly challenging season in life this book on the spiritual truths of resiliency will help you finish the race. 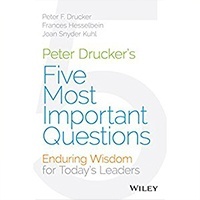 Peter Drucker’s Five Most Important Questions provides timeless insights and inspiration to today’s entrepreneurs. Answering his five seminal questions about business will help you keep the main thing the main thing. 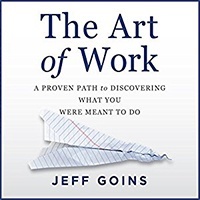 It’s a brief but powerful guide to help you focus on why you are doing what you are doing and how to do it better. 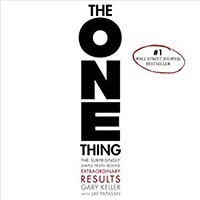 Because of this book, when I sit down with my task management system I almost always ask “What’s the ONE thing I want to get done today?” If you want to bring your life and work into focus then The ONE Thing will help you cut the clutter and achieve better results in less time. It surprises me how much difference one simple question can make.